I cannot grow a beard. Whenever I try, it looks like those photos we all have of our children the first time they grab a pair of scissors and give themselves, or their favorite doll, a haircut: bald spot here, 3 inches of scraggly growth there. That’s why I sadly never took part in one of my alma mater’s most time-honored homecoming traditions. The One Month Club at South Dakota State University is for students who want to look their hobo-est by the time Hobo Day arrives. Exactly a month before the homecoming game, men stop shaving their faces and women do the same with their legs. It’s all in good fun and a fine way to show school spirit, but I could never compete with my classmates who looked like the guys in ZZ Top after 30 days. It’s homecoming season at colleges and universities around South Dakota, and when I thought of the One Month Club I wondered what unique traditions students observe at other schools. So I asked around. One that warms my Scandinavian heart happens at Augustana University in Sioux Falls, where the students nominated for Viking Days king and queen don Norwegian sweaters. It seems appropriate for a school founded by Lutheran Scandinavians, and practical, too. I bet those sweaters take the chill off the cool October morning air on parade day. Incidentally, to celebrate Augustana’s 100th year in Sioux Falls, the school unveiled its version of the popular Monopoly board game, called Augieopoly. One of the game tokens is a Norwegian sweater modeled after one owned by the late Dr. Lynwood Oyos, a longtime history professor. Dakota Wesleyan University in Mitchell crowns not one king and queen, but two. In addition to the royal pair that reigns over Blue & White Days, two members of the freshman class are chosen Beanie King and Beanie Queen. They perform many of the same duties as the homecoming court, but wear blue and white beanies, festooned with optional decorations. The tradition began in 1926 and included all members of the freshman class, but over the years has been whittled down to just two. Students at Dakota State University in Madison enjoy a citywide scavenger hunt. The Student Services department hides a small statue called the Traveling Trojan somewhere on the DSU campus or around Madison. Clues are given on local radio and on the school’s Facebook page. Whoever finds the statue receives a prize package. West River students incorporate the Black Hills in their homecoming traditions. During Swarm Week at Black Hills State University in Spearfish, students make an annual pilgrimage to a giant letter H that sits on a mountainside near campus. Visitors to Rapid City may have noticed a similar M on a hillside above the city. Students at the School of Mines make a homecoming trek to whitewash the M, a tradition that dates back to the very first M-Day on Oct. 5, 1912. Alumni of other colleges and universities surely have their own favorite homecoming traditions. Hobo Day will always hold a special place for me. I’m pretty easy to spot watching the parade along Main Avenue or at Dana J. Dykhouse Stadium for the football game. I’m the clean-shaven one. PIERRE, S.D. – Over 15,700 visitors attended the 53rd Annual Buffalo Roundup at Custer State Park on Friday morning, enduring the cold weather and the season’s first snowfall in the Black Hills. Custer State Park also hosted its three-day arts festival in conjunction with the Buffalo Roundup. Crowds assembled throughout the celebration to enjoy a variety of entertainment under the big top, educational programs and vendors from all over the country. 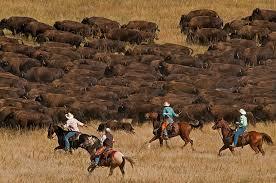 The annual Roundup serves as a tool to help manage the park’s buffalo herd. About 250 buffalo will be sold at the park’s annual auction on Saturday, Nov. 17. For information on the auction, contact the park at 605.255.4515 or email CusterStatePark@state.sd.us. Upcoming Buffalo Roundups will be held on Friday, Sept. 27, 2019, and Friday, Sept. 25, 2020. Written collaboratively by Laura Edwards and David Ollila. As we remember the fifth anniversary of the winter storm and blizzard that occurred on Oct. 3–5, 2013 (which some call Winter Storm Atlas), the event provides a reminder that it is time to begin preparation and planning for winter weather events that can occur from now through May. By the end of September this year, freezing temperatures and snow had already occurred in the Black Hills. Many northwestern and north central areas have also reported sub-freezing temperatures. Large, rapid temperature fluctuations can occur in October and throughout the winter season. 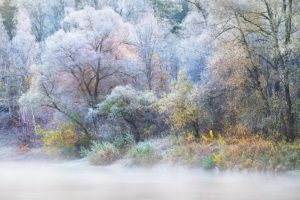 Rain can turn to snow and quickly begin accumulating, particularly in the fall and spring seasons as temperatures straddle the freezing mark. 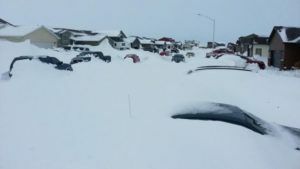 Climatological studies since the 2013 blizzard have shown that snow can often occur in October, but that year was a truly unusual exteme event, and there is no long-term trend towards earlier large snowstorms in western South Dakota. This year, much of October will likely be marked with unusually cold temperatures and wetter conditions than we typically experience. Although no one is anticipating a blizzard like 2013, placing focused thought and developing winter storm plans that will ensure safety and security for both livestock and humans will reduce risk of injury or loss. At the same time, a winter storm plan can lessen anxiety and increase producer confidence that the storms will be weathered successfully. Time of year. Fall and spring weather events tend to have more moisture in the snow along with ground surfaces that are not frozen. This combination can make areas where livestock concentrate “sloppy” and unsanitary, in addition to impassable roads to access livestock. Consideration should be given to placement of supplemental feedstuffs which are in close proximity to where livestock are grazing or confined, as well as identified locations to provide natural and/or fabricated protection from weather elements. The ability to provide rumen contentment and wind protection will reduce livestock anxiety and stress. Feed placed nearby that can be made accessible without the need of large equipment will provide an immediate solution until roads and trails become more accessible for larger equipment. As with all winter storms, in the event of impassable roads, loss of electrical power, necessary supplies should be obtained and stored for a potential extreme weather event that could endure for several days. Plenty of diesel fuel, gasoline and propane stored to operate tractors, generators, heaters and vehicles. Make certain to have alternative heat sources to maintain temperatures above freezing in your home, shop, and lambing/calving warming/tack rooms. Generators can at the very least provide lighting and communication availability, but planning for refrigeration, heating and power to outbuildings, heated livestock waterers and feed handling equipment especially during calving and lambing become high priorities. Animal health supplies should be adequately stocked during lambing and calving. Extreme weather can place great stress on young animals resulting in more animals experiencing life threatening infections. Extreme weather preparation includes making pre-storm plans with your neighbors to insure that both human and livestock needs will be met before, during and following a storm. Having an extreme weather preparedness plan active and in place will lessen the storm’s impact on livestock and infrastructure, while providing personal safety and financial security to the producer and their family during these unpredictable periods. For general winter weather safety information relating to snowstorms, blizzards, extreme cold and so on, visit the National Weather Service’s Winter Weather Safety website. BROOKINGS — This November, South Dakota voters will once again decide on an ethics measure. As with Initiated Measure 22 in 2016, backers of Amendment W say it is a needed safeguard to ensure ethical behavior in Pierre. Opponents say it is a dangerous overreach, giving unchecked power to a new ethics board. If approved by voters on Nov. 6, the amendment would go into effect on July 1, 2019. • lower campaign contribution amounts. • prohibit campaign contributions from being spent on personal use. • place restrictions on lobbyists. • replace the government accountability board with a new board with broad powers. • limit the votes necessary for the passage of an initiated measure. • require voter approval for any changes to the initiated measure or referral process. According to Attorney General Marty Jackley’s ballot explanation, if it is approved by voters, Amendment W will likely be challenged in court on constitutional grounds. Voters were angry after the Legislature repealed Initiated Measure 22, according to Mitch Richter, co-chairman of Represent South Dakota. “They repealed what the citizens had voted in,” Richter said. The powerful ethics panel and the amendment’s claim to overrule other parts of the state constitution worries Owen. According to Richter, anyone who disagrees with a decision made by the ethics panel can take their concerns to court. “That’s a red herring they’re throwing out there,” Richter said of the criticism. Owen agrees with Jackley, that if it passes, Amendment W is likely to be challenged in court. Owen said a judge must decide if Amendment W has sway over the rest of the constitution or if the document’s 125 years of precedence will rule. According to Richter, Amendment W’s language was written to conform to the rest of the state’s constitution. “It doesn’t conflict with other parts of the constitution,” Richter said. 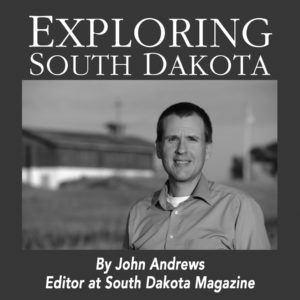 Owen admits that South Dakota’s one-party rule may cause some frustration, but as a lobbyist in the state since 1999, he hasn’t seen the widespread corruption that the amendment tries to address. BROOKINGS — Two measures on the Nov. 6 ballot would make changes to the way the state’s constitution is amended. Amendment X would change the threshold for approving an amendment, raising it from a majority vote to 55 percent of the votes cast. Amendment Z would require that each constitutional amendment be limited to a single subject. The bill that grew into Amendment X was championed in the Legislature by Sen. Jim Bolin, R-Canton, who said that the state’s constitution is of such importance that it should take more than a majority vote to approve amendments. The amendment was endorsed on an 11-2 vote by a task force that studied ballot issues in the summer of 2017. The task force included lawmakers from both parties as well as representatives of municipalities, county commissions, the board of elections and county auditors. 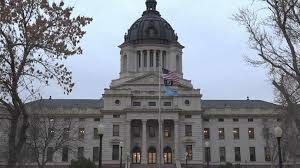 Sen. Reynold Nesiba, D-Sioux Falls, served on the task force and is spearheading the effort against Amendment X.
Nesiba said that 26,000 valid signatures are needed to get on the ballot. In reality, to hit that number, close to 50,000 signatures have to collected. As an example, Nesiba noted two groups that tried to get amendments on this November’s ballot. One collected 33,000 signatures and the other collected 37,000. Neither made it on the ballot. Bolin points out that Amendment X has nothing to do with ballot access. Amendment X is patterned after a proposal that was approved by Colorado voters in 2016. Florida has a 60 percent threshold and New Hampshire’s original constitution, written in 1783, requires a two-thirds majority to pass an amendment. “We’re not breaking any new ground here, at all,” Bolin said. It’s well-trod ground, though, according to Nesiba with 240 amendments proposed in the state’s history. Of those, 224 were put on the ballot by the Legislature and 16 were initiated by citizens. From statehood through the last election, 51 percent of all amendments were approved by voters with just six of the citizen-initiated measures becoming part of the constitution. Amendment Z also started in the Legislature, championed by Speaker of the House Mark Mickelson, R-Sioux Falls. Keeping constitutional amendments to a single subject, according to Mickelson, will keep voters from having to face a decision about voting for a measure because it has some good qualities, but having to accept its bad ideas as well. It’s the voters who are being abused, according to Rebecca Terk, a lobbyist for Dakota Rural Action. Terk said both Amendments X and Z seems to be aimed at the notion that too many wealthy, out-of-state interests are crowding South Dakota’s ballot. 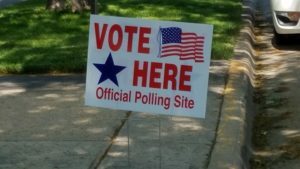 According to Mickelson, rules that allow citizens to put amendments on the ballot were put in place to help people who didn’t think that lawmakers in Pierre were listening to their concerns. Those lawmakers weren’t listening to Mickelson in the last session, so he spearheaded efforts to put an increased tobacco tax and a ban on out-of-state contributions to ballot measure committees on this year’s ballot. Terk isn’t buying the idea that the constitution needs a higher vote threshold or simpler topics on which to vote. But, like Mickelson, she’s putting her faith in voters. Woodrow “Woody” Wilson Keeble was a warrior who wore a U.S. Army uniform. Almost six decades after gallant actions in the Korean War and 26 years after his death, the U.S. Army master sergeant received the Congressional Medal of Honor. 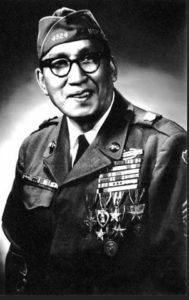 Keeble was a member of the Sisseton Wahpeton Oyate and the first Dakota to receive the Medal of Honor, the highest military honor in the United States for valor in combat. Keeble was born in Waubay on May 16, 1917. He attended what is now Circle of Nations boarding school at Wahpeton, N.D., and joined the North Dakota Army National Guard. His Guard unit was activated during World War II and he served in I Company of the North Dakota 164th Infantry Regiment. The 164th Infantry fought in the Pacific, most notably at Guadalcanal. Keeble developed a reputation for bravery and skill. After the war, Keeble returned to Wahpeton, married and worked at the school he attended while growing up. In 1951, Keeble returned to active duty when the 164th Infantry Regiment was reactivated for the Korean War. For his actions on Oct. 20, 1951, Keeble became a legend. According to the U.S. Department of Defense, Keeble’s platoon met up with two platoons pinned down by enemy fire coming from three bunkers or pillboxes in a V-formation on a hill. The officers or platoon leaders were wounded or killed in action, so Keeble assumed command of the company. Keeble’s plan was to lead one platoon at a time up the hill to try to destroy the enemy. After the third failed attempt, Keeble decided to go up the hill alone. But first, he had to eliminate soldiers in trenches in front of the bunkers. He did this and then took out a bunker with a grenade. He moved to the second bunker and destroyed it with another grenade. The final bunker was at the top of the hill. Keeble lobbed a grenade through the back entrance. The enemy was eliminated. Allied forces then advanced and secured the hill. Keeble’s assault on the enemy took two to four hours under heavy fire. He was wounded multiple times with injuries to his chest, both arms and both legs. After the war, Keeble returned to North Dakota. One lung was removed because of tuberculosis. This triggered a series of strokes that left him partially paralyzed and unable to speak. His wife died but he later remarried. Keeble received many awards for his military service in World War II and Korea, including the Army’s second highest award, the Distinguished Service Cross. Over the years, friends and family tried unsuccessfully to have Keeble awarded the Medal of Honor. Recommendations that Keeble receive the Medal of Honor were submitted twice, but each time, the paperwork was lost. Keeble died in Sisseton on Jan. 28, 1982, at age 64. The fight to have him receive the Medal of Honor lived on. When it was determined that the recommendations had never arrived at headquarters, family and friends gathered recommendations from those who had fought with Keeble. U.S. Sens. John Thune and Tim Johnson of South Dakota and Byron Dorgan and Kent Conrad of North Dakota urged that Keeble be posthumously awarded the Medal of Honor. 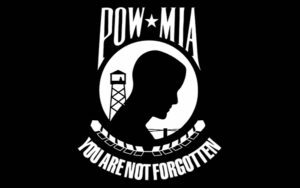 In 2007, the Department of Defense notified the four senators that a statute of limitations would prevent the Medal of Honor from being granted — there was a three-year-window from when the action took place to when the medal could be awarded. The senators drafted legislation that would grant a waiver of the statute of limitations. This language was included in the funding bill for Iraq that was passed by Congress. President George W. Bush awarded the medal on March 3, 2008. He said while the tribute came too late for Keeble to see the honor bestowed, his story can still be told and his memory honored. On March 17, 2008, Gov. Mike Rounds officially proclaimed the date to be forever commemorated as Woodrow Wilson Keeble Day in South Dakota. A Hall of Honor display honoring Keeble and eight other Medal of Honor recipients from South Dakota is located on the first floor of the west wing of the South Dakota Capitol, near the north entrance. Numerous regional sites also pay homage to Keeble’s memory. Climate models predict a near average first fall frost date for South Dakota as cooler weather moves across the state. “With cool air moving into the region from Canada the first week in October, it is possible that temperatures will dip below freezing,” said Laura Edwards, SDSU Extension State Climatologist. The latest U.S. Climate Outlook for October, released by the National Oceanic Atmospheric Administration (NOAA) September 20, shows the likelihood that southeastern South Dakota could be colder than average. Looking ahead to October, the precipitation outlook is less certain. Early in the month, Edwards said the models point to an active weather pattern that may continue with several small systems passing through. Later in the month, there is more uncertainty. “As a result, equal chances of overall wetter, drier or near average precipitation is projected across the north central states,” Edwards said. The precipitation outlook for the remainder of the fall and early winter is also uncertain this year in our region. “There are no consistent signs of either wetter or drier conditions in computer-generated forecasts. Additionally, El Niño climate patterns have not been consistently tied to wetter or drier winters in the Northern Plains. As a result, the north central states currently have equal chances of these scenarios playing out at the end of this year,” Edwards said. Cool temperatures and wet conditions will make for a slow corn and soybean harvest season. Excess moisture could reduce quality of some crops. During this challenging time, when the grain market is low, mechanical grain drying may be required to ensure the highest quality seed possible after harvest. However, for winter wheat growers, some moisture could be beneficial, as planting season is underway. Some of the drier areas in central and northern South Dakota need rainfall to help with germination, so a wetter pattern would be favorable. The South Dakota Retailers Association (SDRA) has named Nathan Sanderson of Pierre as its next Executive Director. SDRA is one of South Dakota’s oldest and most-respected trade associations, representing nearly 4,000 members in more than 160 business categories. 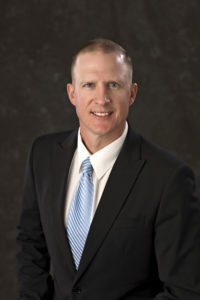 Sanderson currently serves as Director of Policy and Operations for Governor Dennis Daugaard. As executive director, Sanderson will be responsible for directing SDRA operations and activities; overseeing budgeting, policies, programs, and services; and leading its legislative efforts on a state and national level. A South Dakota native, Sanderson graduated from Lake Preston High School and holds a B.S. in Agriculture Education from South Dakota State University, a M.A. in American History from the University of Indianapolis, and a Ph.D. in History from the University of Nebraska. He will begin October 1. On Sept. 4, the Rosebud Sioux Tribe held a swearing-In ceremony for recently elected president, Rodney M. Bordeaux; the re-elected vice president, Scott Herman; and 10 Council Representatives. In Previous years, President Bordeaux had also served three terms( 2005-07, 2007-09, 2009-12) and was quick at filling his seven critical staff positions. President Bordeaux serves as Itancan, chairman of council and is the chief executive of the tribe. In his opening address, President Bordeaux stated that he will work closely with newly re-elected Vice President Herman and each of the council representatives. President Bordeaux said, “We have been charged with a great opportunity to work for our people and the dedication that it takes to do that will be challenging at times, but we can do this together”. President Bordeaux also expressed his commitment to serving the Oyate. 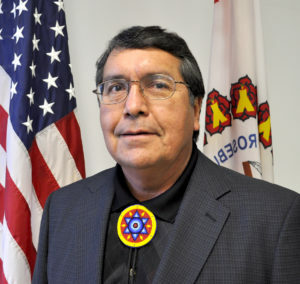 He pledged to increase communication between tribal government and the people, by using all available outlets from social media to traditional newsprint to keep the public informed. The President also plans to visit students at Saint Francis Indian School, Todd County and other schools, where he hopes to inspire a new generation of leaders. Tina Spotted Calf-Martinez, who has been appointed as the executive assistant to the president, and had previously served as the Department chairwoman for the Lakota Studies Department at the Sinte Gleska University, said on her first day in the office that, “This office is designed to make a difference for our oyate by expecting accountability and being a great role model, along with a healthy approach” . The president’s office also appointed: Mary Lambert, Administrative Assistant; Leanora Fast Dog, Administrative Assistant; John Spotted Tail, Community Liaison; Sarah Hart, Program Specialist; Nicole Marshall, Executive Administrative Assistant; and Madonna Sitting Bear, Economic Research & Development Specialist.